This is a very good book for any girl around the age of twelve who loves a good mystery novel. I will admit that after a while it gets long so better read in small bits at a time. I had read all the other books in the series. Looking forward to this next one I was somewhat disappointed. Perhaps the novelty of such a charming character has worn off. I liked that the writer has softened somewhat on the sisters. Still I am looking forward to the next one and hoping for the best. I thoroughly enjoyed it. It was with some reluctance that I finished the book. However I find myself smiling none the less as I thoroughly enjoyed the company of Flavia. 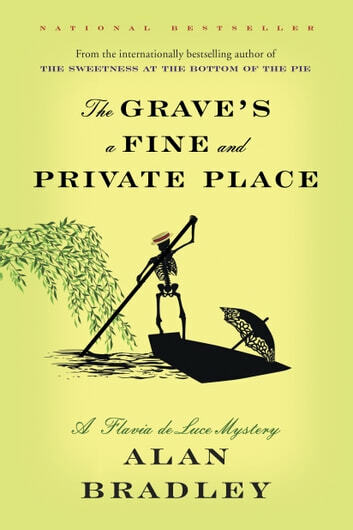 Must read mystery for Flavia de Luce fans! Really enjoyed this book. Love Flavia! Wonderful unique character. Well written mystery with some laugh aloud moments. Can't wait to read the next book in the series and follow Flavia as she matures! My favourite writer. If you haven’t read the series I suggest you you head to your local library and start withThe Sweetness at the Bottom of the Pie.